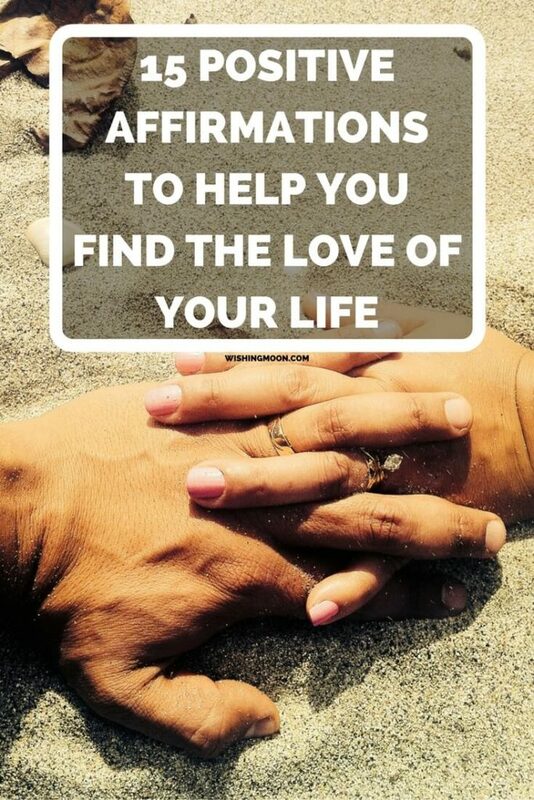 If you’re unfamiliar with the power of positive affirmations, repeating a word, sentence or mantra in the mirror each morning may feel like a silly and unrealistic way to find The One. However, by ridding our minds of negative thoughts, memories and worries, and filling our heads with positivity, optimism and excitement, we can increase our ability to find and attract love. Of course, it’s important to get out there and search for your soul mate too. Unless you make an effort to meet new people and build your social circle, the love of your life is unlikely to land on your doorstep. But by reassuring yourself that you deserve love, radiate love, and will find love in time, you can increase your chances of attracting others. After all, to get what you want out of life, you have to be willing to give the very thing you’re wishing to get. You also have to believe in yourself and your abilities. Although romantic love may be your number one priority in life, try not to overlook the value of other types of love. Having loving relationships with your family and friends is an important part of life and these strong and meaningful connections are vital to achieve a sense of wellbeing and happiness. Not only is love good for our hearts and minds, it’s also good for our physical health too. By striving to build powerful relationships with those around you, you may find it easier to find and attract the love of your life. After all, we tend to be at our most attractive when we’re happy, content, and radiating the very love, kindness and affection we wish to receive from others.